CMI Terminal Ltd. is a producer group based out of Naicam and Spalding, formed in December of 1997, specifically to investigate the possibility of building an economically viable Grain Terminal in the Naicam – Spalding area. Canadian Pacific Railway was contacted to see that if a facility were to be constructed, would the support be there for the elevator? Extensive negotiating with CPR led to a lucrative agreement for the Terminal, ensuring this rail line long life and competitive rail rates. 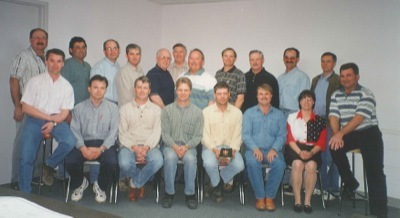 The producer group then met with several major Grain Companies. Agricore (an amalgamation of Alberta Wheat Pool and Manitoba Wheat Pool) was found to be the organization that best fit CMI Terminal Ltd.’s criteria. CMI Terminal Ltd. was seeking a partner with strong grain handling and marketing skills, proven ability in elevator design and construction, no local rationalization plan which conflicted with the facility location, and a partner with economic viability in export terminal ownership. CMI Terminal Ltd. and Agricore co- developed a business plan, and upon completion, a Joint Venture Agreement was drafted. The Joint Venture Agreement certified the building of an 18,000 tonne Inland Grain Terminal, located 2 miles North of Spalding and 4 miles South of Naicam. CMI Terminal Ltd.’s Board of Directors has complete confidence they picked the right partner with Agricore United, and are pleased with the flexibility and control the Joint Venture Agreement offers. The 10.6 million dollar facility is equally financed by CMI Terminal Ltd., through a public share offering, and Agricore. The balance is financed through a long-term debt. CMI conducted an offering of shares to the public and were successful on April 15, 1999. A team of 19 salespeople was formed, from original parties, and newly interested parties, to sell shares into the CMI Terminal. 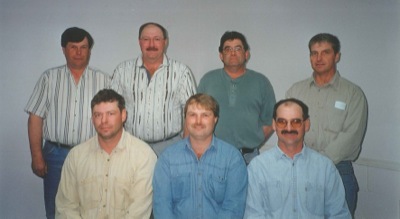 The sales team, headed by Eric Ponath, met weekly on Tuesdays until the share offering closed on April 15, 1999. On April 15, 1999, the Terminal became a reality. 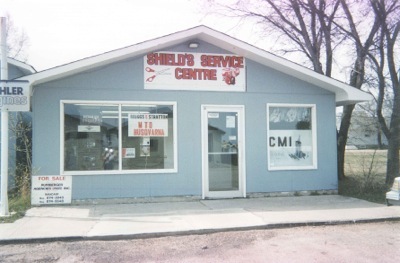 This reality was achieved partly through many long hours and dedication from President Ron Loyns, the Board of Directors; Fred Draude, Barry Archibald, Richard Dauk, Rob Parry, Victor Perrot, Dean Crozon, and CMI’s Sales Manager, Eric Ponath, along with the 19 salespeople that he headed. 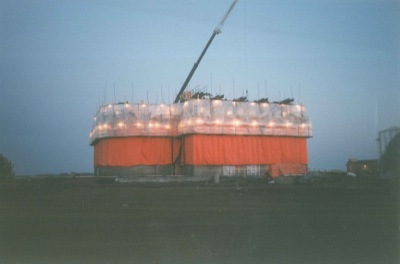 Construction of the Terminal began in the spring of 1999, and was completed by the fall of 2000. With construction underway, the task remained of finding people to operate the facility. The Board Members named Brian Ungar the General Manager, Jackie Buhs Controller, who had been with the organization since November 1, 1998 and Jerry Willner as a Marketing Rep. The three worked out of a small office in Naicam until the Terminal was completed. As the completion date of the terminal drew nearer, Derek Patterson, Andrew Kolbeck, Don Hardy, Jim Weber, Janice Quale, and Tim Robinson were hired to fill the remaining positions. The official grand opening of the CMI Terminal J.V. was held October 21, 2000. In attendance was Agricore United, the R.M. of Spalding #368, the Town of Naicam, the MLA office, Jim Pankiw the local M.P., CPR, CGC, and the CWB. The completed all-concrete Terminal originally had the capability of spotting 56 cars. The facility has full drying capabilities for all grains, coupled with a cleaning line for wheat, barley, canola, and oats. It can store 18,000 metric tonnes (680,000 bushels). The Terminal is also equipped with 2 receiving bays, one with a 120 foot, 100 tonne receiving deck scale, along with an 800 tonne per hour overhead receiving and loading scale. 7 cleaners give the Terminal the ability to clean up to 80 tonnes (3000 bushels) per hour. The first year of operation was an exceptional year for the CMI Terminal J.V. as they handled 155,000 tonnes of grain, and were able to pay out a dividend to their shareholders. In the Spring of 2002, Andrew B. Kolbeck was hired as the General Manager of the terminal and continues in this capacity to the present day. In 2003 CMI began selling certified seed. A bulk seed facility, with 800mt storage and a seed treating system, was put in place. The Proven line of canola seed was also retailed. Regan Crone was hired as seed manager. In August 2004 Troy Leicht was hired as the Manager of Ag Sales / Services Associate. 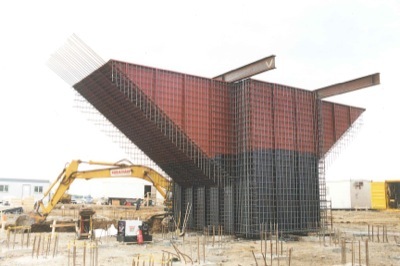 In the fall of 2004, construction began on CMI’s expanded CPS facilities. 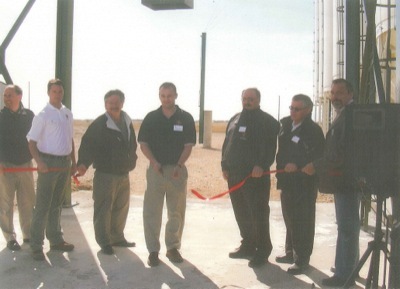 A 1200mt volumetric dry fertilizer blending plant was built along with a 2400sq ft heated chemical and seed shed. 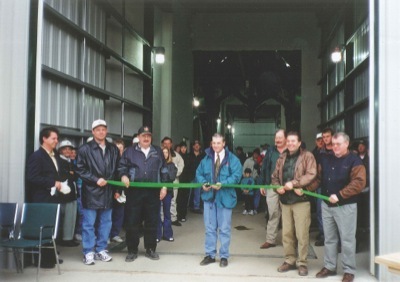 The Grand Opening of the CPS facilities was held on April 18, 2005. On January 15, 2003, Agricore Ltd. and United Grain Growers Ltd. merged to form Agricore United and an amended Joint Venture agreement was entered into with CMI Terminal Ltd. This relationship carried on for 5 years until Agricore United and Saskatchewan Wheat Pool merged to form Viterra Inc. On April 3, 2008 Viterra Inc. and CMI Terminal Ltd. signed an amended Joint Venture agreement and this has been a gratifying partnership to present day. In March 2009, CMI Terminal J.V. opened its satellite location in Lake Lenore. 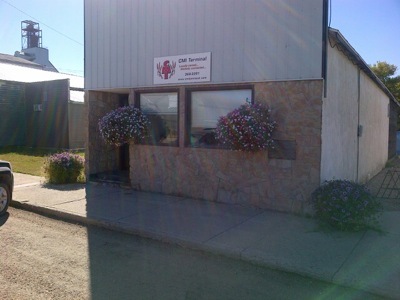 It is staffed by 1 full time Agribusiness Consultant and offers Crop Protection and Farm Supply services, as well as, grain contracting to Lake Lenore and area community. In May 2009, CMI Terminal J.V. entered into a contract with Flynn Bros. Projects Inc., to supply and install three 3,500 metric tonne commercial grain tanks. This expansion has increased the terminals grain storage capacity to approximately 27,000 metric tonnes. This project was completed at the end of February 2010. As of October 31, 2009 CMI Terminal J.V. 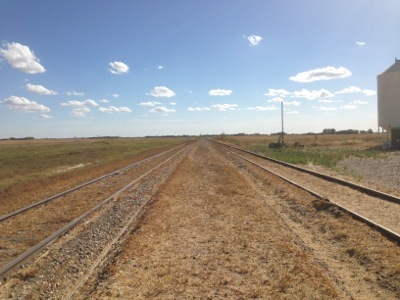 has completed the purchase of approximately 5 miles of siding and land from CP Rail. This purchase enables the terminal to load 112 car trains. June 21, 2012 saw the demolition of our wood elevator in the town of Naicam. Our present board of directors of CMI Terminal Ltd. consists of Fred Draude, Leslie Sarauer, Regan Crone, Mark Fouhse, Tom Borstmayer, Lance Stockbrugger and Eric Ponath. Present Day CMI Terminal J.V. employs 20 full-time employees. CMI Terminal J.V. offers strong Malt Barley, Warburton Wheat and Canola programs to producers. The staff encourages you to come out and discover what CMI Terminal J.V. can do for you. On Wednesday, June 18, 2014, CMI JV recorded another first for our shareholders, we loaded our first 134 car spot. This is a significant event in that CMI JV is one of four grain handling facilities located on CP lines that have the ability to load this size of unit. This new spotting capability has increased our rail shipping capacity by 20%, which will result in a more efficient facility and higher through put volumes in the future.